“Ganjifa” is the name given to an ancient Indian card game. Historically the game is believed to be brought to India during the Mughal period. The name Ganjifa comes from the Persian word “Ganjifeh” which means playing cards. The specialty of these cards is that they are traditionally hand-painted. The cards are typically circular although some rectangular decks have been produced. This was a game that was popular and played across Medieval India. Each region in the country had its own form of the game. There was the Sawantwadi-Ganjifa from Maharashtra, Navadurga-Ganjifa from Orrisa, Rajasthan and GujratGanjifa, Kashmir Ganjifa, Nepal Ganjifa and the Mysooru-Ganjifa. Mysooru-Ganjifa was extensively patronised by the Mysore Royal Family – The Wodeyar Kings. Given that the main aim of the game was to teach, learn and tell stories from the ancient scriptures and holy books, all the 18 games in the Mysooru-Ganjifa Style were set to stories and shloka’s from the Hindu Purana’s, stories from the Ramayana, Mahabharata etc. 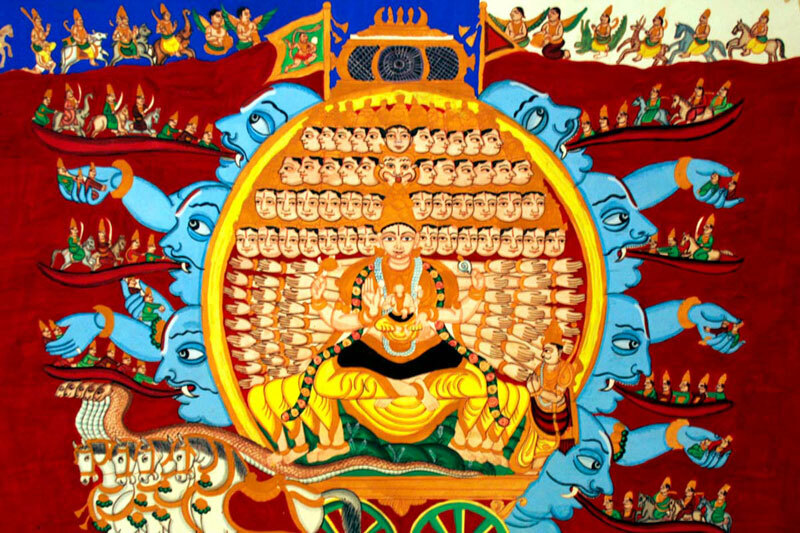 The Dashavatara-Ganjifa which is a series based on the 10 different forms of the Hindu God Vishnu was the most popular of the 18 Ganjifa games. 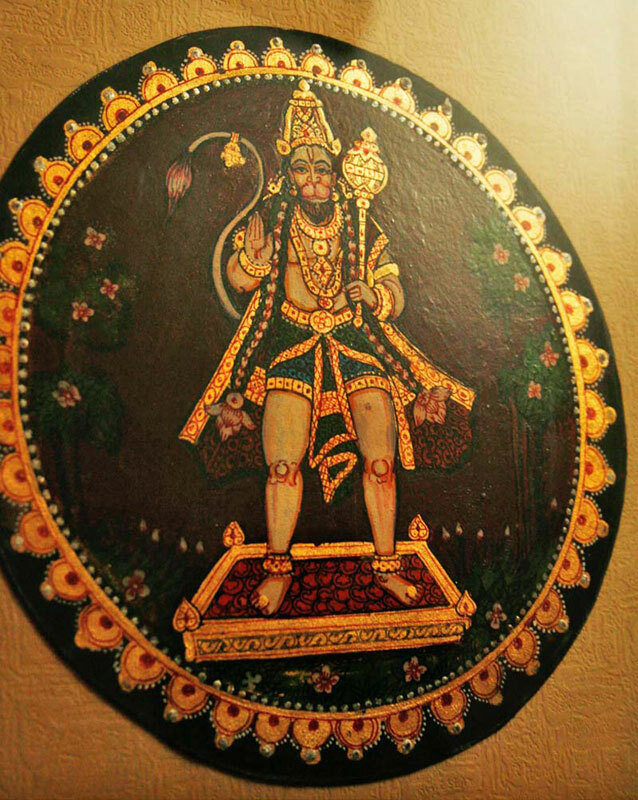 The Dashavatara-Ganjifa has a set of 120 different playing cards. 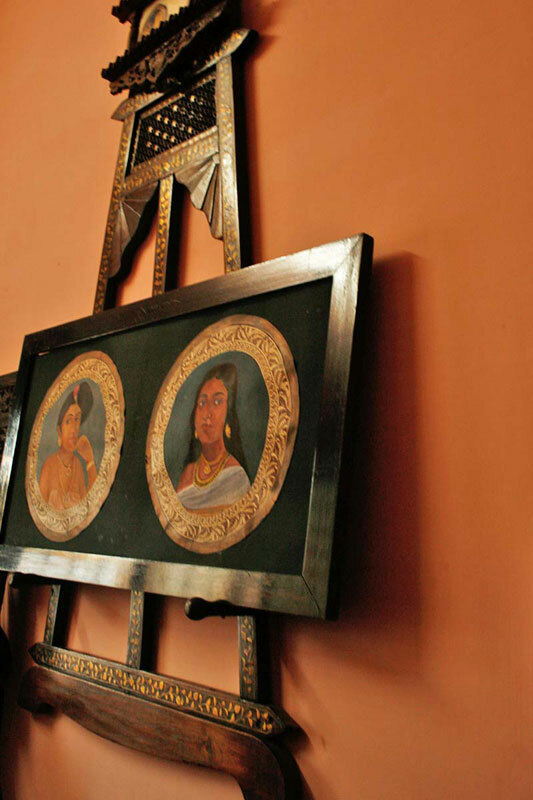 Today, apart from mythological subjects the artists have also started to paint subjects like portraits of maharaja.